In the first outing of the newly minted SJZ Collective, the cream of Silicon Valley musicians pays tribute to one of jazz’s foundational musicians, Thelonius Monk. This ever-evolving group of master players has performed all over the country–including SJZ’s Summer and Winter Fests–and are core instructors at our Summer Jazz Camp in June. The brainchild of drummer Wally Schnalle, the ensemble allows each member to shine by bringing their own arrangements to the group. Organist Brian Ho plays all over the region with his Trio. He’s not just keeping jazz organ alive; he has developed a unique and modern take on standards and originals that bounce with energy. Saxophonist Oscar Pangilinan grew up in SJZ’s education programs. He’s played with Kristen Strom, Aaron Lington, Jason Lewis and John Shifflett, and currently leads his own group, the Bad Five. Mexico-born bassist Saúl Sierra studied at the Berklee School of Music. 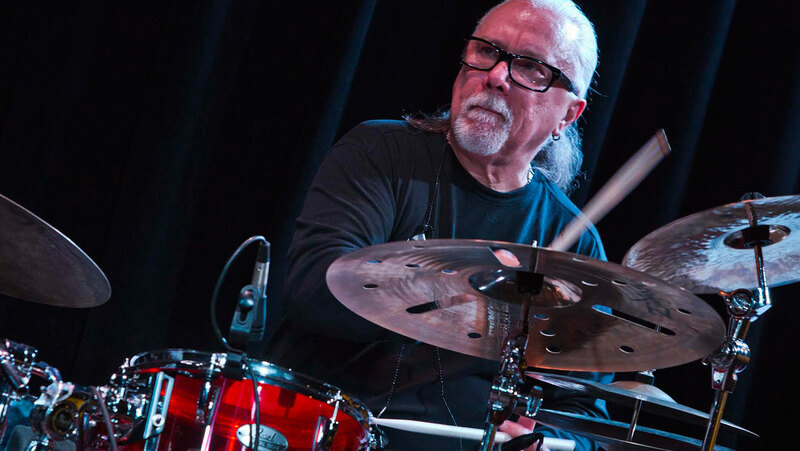 He’s played alongside Nestor Torres, Jimmy Bosh, Antonio Sánchez, John Santos, Rebeca Mauleón, Chuchito Valdez and Wayne Wallace, and is a founding member of the band Vission Latina. Drummer Wally Schnalle has a long history of working with San Jose Jazz as a performer and educator. In addition to leading his own groups, he’s worked with Phil Woods, Eddie Daniels, Ernie Watts, Etienne Charles, Mary Wilson and many great Bay Area artists. Hristo Vitchev is one of the most innovative voices in modern jazz guitar. At only age 37 he has already released 9 critically acclaimed albums as a bandleader. Trumpeter/flugelhornist John L. Worley, Jr. is on speed dial with some of the top bandleaders in the region. He’s played on over 70 recordings and with Mel Torme, Ella Fitzgerald, Wayne Shorter, Wayne Wallace, Pete and Sheila Escovedo and Lila Downs.